Specially formulated to clean hands, tools and surfaces from wet and semi-cured paint, sealant, adhesive, bitumen, expanding foam, oil, grease and even silicone. Trade Strength Cleaning Wipes 50 Wipes is rated 4.9 out of 5 by 14. Rated 5 out of 5 by Brown Owl from Worked well Great for my Brownie camp! Cleaning glass paint off hands outdoors before going inside to wash - the wipes worked a treat. Previous experience had shown that baby wipes were no good! Rated 5 out of 5 by Royal Rog from Brilliant!! Very, very useful A decorator friend recommended these to me and I love them, really really useful. Rated 5 out of 5 by Realtree from Good effective cleaning wipes Effective at removing most things from hands. I would recommend this product. 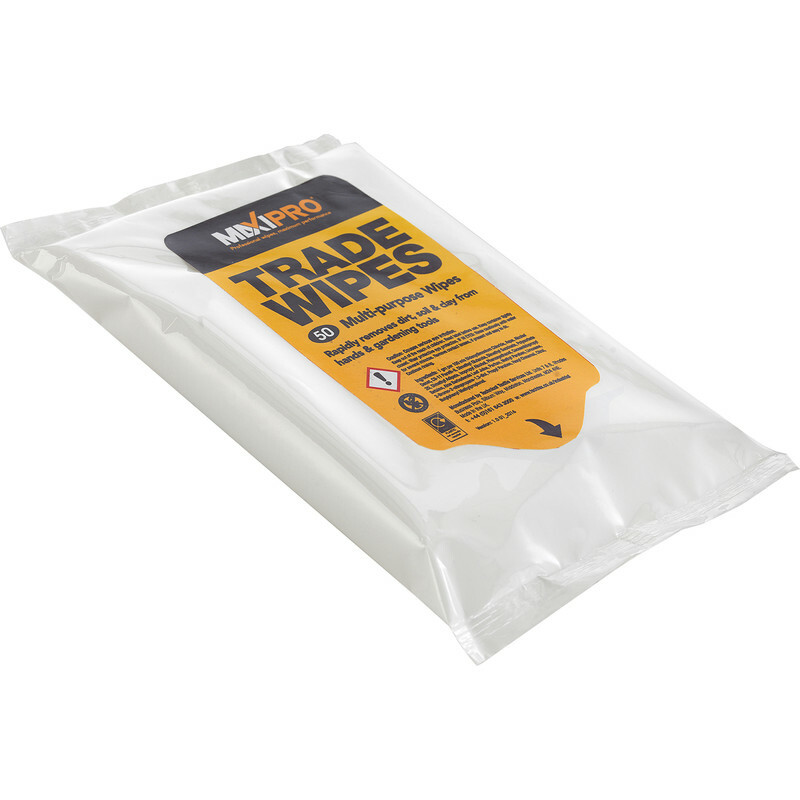 Rated 5 out of 5 by Shane6047 from Good cleaning wipes Perfect for any trade, work extremely well. Dont use for a finish clean as they do leave a smear over the surface but use the wipes then wipe over with a clean dry cloth. Rated 5 out of 5 by Glen s from Great service I bought these wipes when I saw a tradesman using them. Wish they were man size though.